Imagine a place where you can touch and swim with dolphins, wade with mysterious rays, snorkel lazily through a colourful cloud of tropical fish and safely come eye-to-eye with sharks and barracuda! 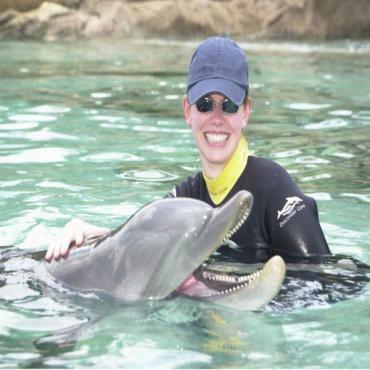 That's Discovery Cove and it really is a one-of-a-kind animal adventure. You can explore caves, plunge through a majestic waterfall to discover a towering free-flight aviary full of brightly coloured exotic birds and relax as you lie on exquisite white-sand beaches. Plus, admission numbers are restricted, so each visitor receives a personalised experience. It is absolutely essential to book this experience before you travel. 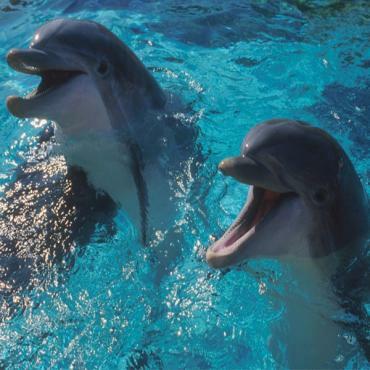 Day packages are available without the dolphin interaction. Call Bon Voyage for latest prices.